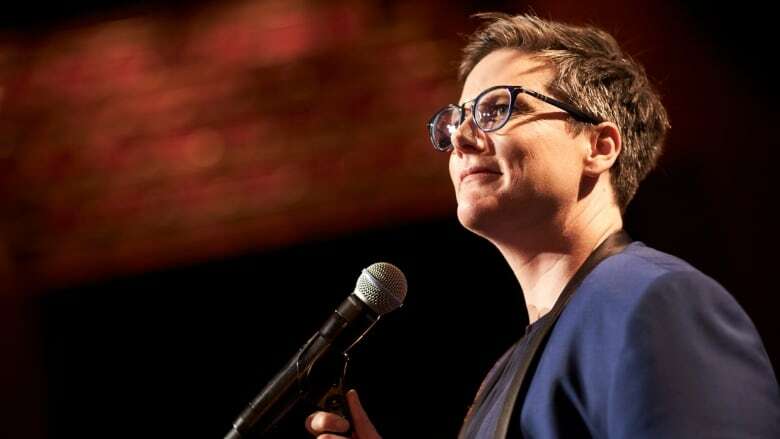 Australian comedian Hannah Gadsby says she's feeling "an enormous amount of relief" about closing out her swan song show Nanette at Montreal's Just for Laughs festival next week. "That's my last ever Nanette and I'm really happy about it, and what a great place to finish," Gadsby said in a recent phone interview from Los Angeles. "I feel like Canada is like a nice Australia. We're still a little beholden to the Queen, both of us." The show, which is now a special on Netflix, has become a global sensation with its strikingly powerful blend of humour and commentary on society's treatment of marginalized groups, and her own experiences as a lesbian. It's taken the comic/writer to a level of fame she never imagined, earning honours including Comedy Special of the Year at the Just For Laughs Awards Show, which will take place the same day as her performance on July 27. "It's not a place I thought I fit — being culturally relevant," Gadsby said with a laugh. "I'm big in India, you know. That's not something I thought I'd be." But the live Nanette tour and massive spotlight have also resulted in "deep fatigue" and she's "struggling," she admitted. Being on the road for so long has been "gruelling" and requires her to relive the trauma she talks about in her act, over and over. Such trauma includes being beaten up in a homophobic incident in Tasmania, where homosexuality was a crime until 1997. "It's an incredibly difficult show to do and it always has been, and the closer I get to finishing it, the more I've allowed myself to really appreciate how difficult it has been to perform and how much of a toll it has taken on me," Gadsby said. "That's the nice thing — that it lives on Netflix and I don't have to keep performing it for it to do its work, so to speak. So I feel very happy that there's an end to my performing of it, because I need to move on. I need to have some naps." Indeed, Gadsby does want to move on — from standup comedy in general. She's now writing a memoir of sorts, called Ten Steps to Nanette. "I don't fancy doing comedy clubs, I don't fancy doing long tours," said Gadsby, who began her stand-up career in 2006. She also built a career on self-deprecating humour but doesn't want to do that to herself anymore, she noted. Not to mention the emotional toll of performing Nanette and watching unsuspecting audience members, some of whom have gone through similar experiences Gadsby has, also be affected by the poignant material. "I have done shows where I could see people openly weeping and sobbing. I'm not dead to that," Gadsby said. 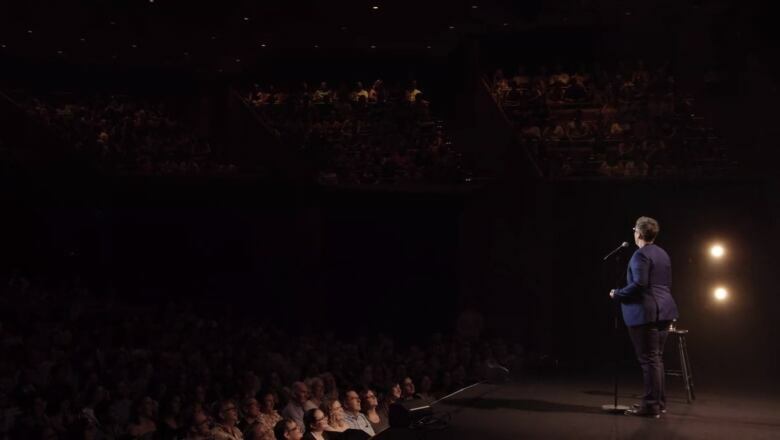 While Nanette is billed as a comedy show, and indeed delivers hilarious material, it's also a cerebral critique of the stand-up world and society at large. Gadsby said she now hopes the mainstream comedy world will make space for other voices who normally don't get much of a forum. "I hope there are more women of colour, trans people and all these minorities that have a place in the fringes," Gadsby said. As for the impact Nanette has had on the comedy world, Gadsby said that's not a conversation she feels she should lead. "Many straight, white male comedians have reached out to me and just been so lovely and supportive of what I said and how I said it and told me that I've shifted the understanding, and that means a lot," she said. "I did the show for myself and my queer people, first and foremost, but I'm so grateful that it found its way into a constructive conversation that includes straight white men and comedians that I theoretically was challenging. "So it feels like, instead of a show-stopper, it's a conversation starter."